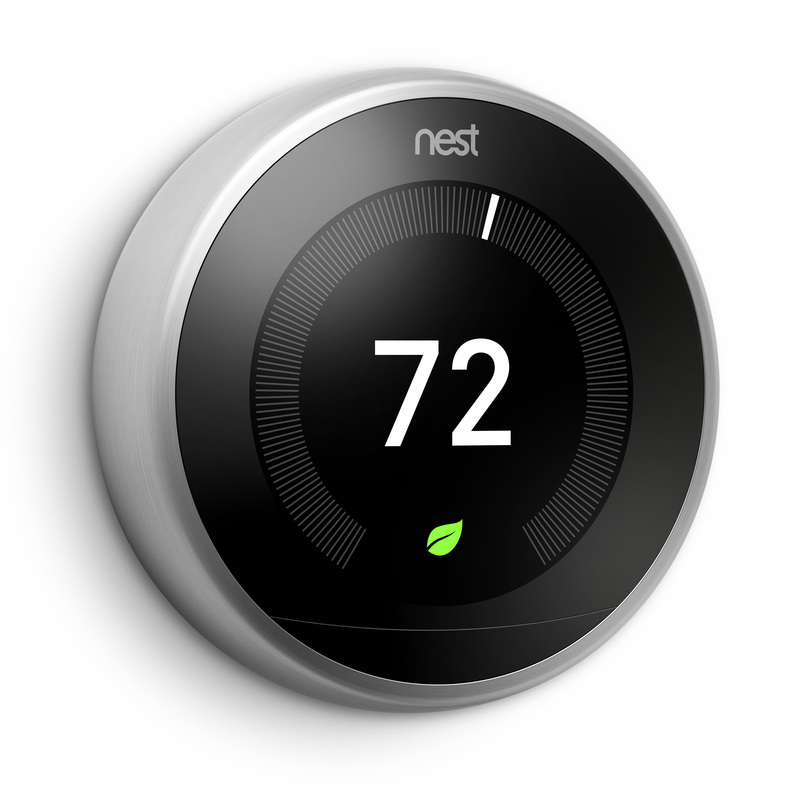 How Will Smart Thermostats Affect My Plumbing & Heating Business? Business Blog > How Will Smart Thermostats Affect My Plumbing & Heating Business? and more importantly, what can it do for your business? You may have heard the phrase, “Internet of Things” (IoT) bandied about recently—a lot.IoT is going to change the way plumbing, heating, gas and electricity field service companies do business. Those companies that succeed in embracing this exciting new technology will thrive. Those that don’t will stagnate or struggle. Whereas the “Internet of People” enables individuals and companies to access and exchange information in a wide variety of formats via computers and mobile devices, the Internet of Things does something similar for—you guessed it—things, i.e. inanimate objects. These objects could be vehicles, buildings, machines, or equipment—including gas boilers or pumps and valves. The objects are embedded with sensors, electronics, and software that enable them to communicate with each other and/or to a central controller via the existing internet infrastructure. What's important for field service businesses is that IoT devices can be used to monitor and control the mechanical, electrical, and electronic systems used in various types of buildings; for example, public facilities such as schools and hospitals, industrial plants, or residential homes. The IoT can be even used to monitor and control entire cities; you may have heard the term smart city. Nearly everything in a smart city is wired, connected, and turned into a constant stream of data that would be monitored and analysed by an array of computers with little-to-no human intervention. The data would then be used for improving air and water quality, reducing noise pollution, and increasing transportation efficiency. As you might expect, these developments are happening first in the United States, China, and other hi-tech regions such as Singapore. If you think it all sounds like science fiction, think again. Already the humble thermostat is becoming smart, and many energy services companies are providing IoT-ready devices to help customers to increase the comfort and economy of their homes and offices. The smart thermostat promises to slash bills by offering customers pinpoint control over their heating, hot water, and air-conditioning systems. Since this cuts energy wastage and CO2 emissions, the technology is also of interest to government as it seeks to meet environmental targets; for example, some EU countries subsidise investment in IoT-ready thermostats. Some smart thermostats also offer zoned heating: By installing wireless thermostatic radiator valves (TRV) or separate thermostats, the customer can control the heat in individual rooms rather than just the whole house. Typically, a customer might want to keep the children’s bedrooms warmer through the night without overheating the rest of the house. Estimates on how much smart thermostats can save a customer vary from around 15% to 40%, with the initial investment paying off in a year or less. However, the claims made by the suppliers can only be turned into reality if the equipment is used properly. This provides a fantastic opportunity for service providers like you. Many consumers are naturally going to be wary about all this, and they'll be looking for advice before they invest. The gadgetry can be expensive, and it's certainly not going to be a worthwhile option for certain types of customer. For other customers, the benefits are already clear: They will be the early adopters. A third group will be followers. They'll make the investment when they see how friends and neighbours have cut their fuel costs. All this means, at the very least, that you should understand these different categories of customers and help them to make a decision when you're doing estimates, selling to them, or doing routine servicing and maintenance. Let your customers know this technology exists, what its benefits are, and what they should watch out for. Familiarise yourself with the leading products on the market and their pros and cons. Provide product literature to customers who might be interested. Smart thermostats sound too complicated to quickly explain to a customer, but despite the buzzwords, the technology's easily explainable: Instead of having simple on/off and temperature control, a smart thermostat allows the customer to manage every minute of their home’s heating schedule from a smartphone, tablet, or computer. A mobile app allows them to do this remotely, quickly, and intuitively. Your more technically literate customers will be able to figure out how to program smart thermostats in a jiffy, creating heating schedules based on their lifestyle—like setting the heating to come on later at the weekends or raising it a degree or two for the mother-in-law’s regular Wednesday afternoon visit. The real intelligence is not so much in the gadgetry, but in the customer understanding how to use their heating systems; for example, how long the boiler takes to get the house up to temperature. This is precisely where you come in, as their trusted advisor. Increasingly, customers are going to be proactively seeking your advice. Even if they don’t, by making it clear that you're ahead of the curve you'll stand out from your competitors. The opportunity in IoT is huge: According to an article in Forbes on IoT forecasts, Boston Consulting Group predicts that the IoT market will reach $267B By 2020.
Business and government will take the lead in this, but households and consumers won't be far behind. Think how quickly the smartphone went from being an executive toy to being a 'must have' item for most people. For the IoT to benefit your field service business, your job is to identify the people in your customer database who are likely to be early adopters of this technology—and to market to them. For example, a young couple who have moved into a property with an old boiler are likely to be strong candidates. They won't want to simply exchange like for like when they buy a new boiler; they're likely to consider something extra, like the ability to control their heating from their smartphone. So here's an opportunity to do a bit of up-selling and to establish a relationship of trust with the customer. Like so many things internet-related these days, Nest is part of the Google family of products. In fact, Google bought the company for a cool $3 billion back in 2014. With a motion detector, three temperature sensors, and a humidity gauge, Nest monitors whether the customer is at home and how warm they like it, and creates a unique heating schedule—which should mean never needing to manually adjust the thermostat. Aside from its ability to learn about the customer’s lifestyle, Nest offers full remote control via a slickly designed mobile app and unrivaled connectivity to other smart gadgets, like the Nest Protect and Nest cam. Nest automatically turns itself down when nobody’s home to help the customer save energy and, depending on the type of boiler the customer uses, can now control the hot water tank as well as the heating. Hive is the offering from British Gas. It is not as 'smart' as Nest but makes it extremely easy for people to manage their heating and hot water (depending on boiler type) via a smartphone or tablet. 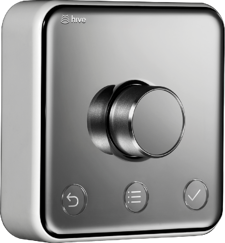 Hive enables remote on/off control, extensive daily and weekly scheduling, frost protection, holiday mode, and handy geo-location tracking that can send reminders to turn your heating on before you get home, or to alert you if you’ve left it on. British Gas also offers Hive Multizone (£179), which is designed for homes that already have more than one thermostat already. This enables the customer to control more than one zone—for example upstairs and downstairs—via a single app, which should make heating more efficient and the house more comfortable. Unlike the competition, tado° relies heavily on geofencing to track each member of the household (so long as they have a mobile device). As a result, it knows that it should turn the heat off when everybody has left the house and similarly, when it detects someone coming back from work or school, it fires up the boiler. 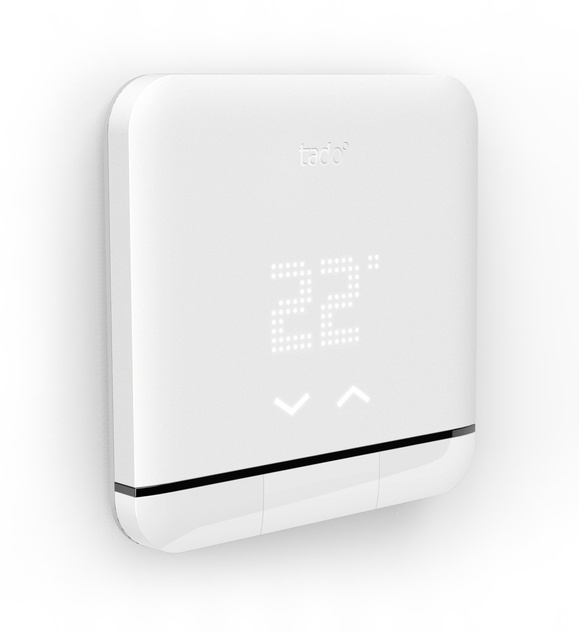 tado° also uses its internet connection to monitor the weather so it can time when and how hot the heating needs to be given the forecast. 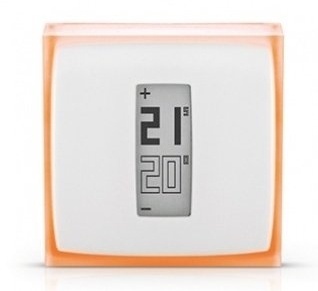 tado° can be extended to work with multiple thermostats (each extra thermostat costs £179), and in 2016 the company launched connected radiator valves to make it easier to create a multi-zone heating system. EDF’s offering is a lower-cost option and it only controls heating, not hot water. On the plus side, it's fairly easy to use, consisting of a combination of two smart devices and a companion app. Together they bypass the customer’s central heating system's controls, replacing the old timer and/or thermostat with smart controls. Making changes to the heating level is quick and easy. The companion app also enables the customer to control and monitor the central heating in greater detail and customise heating schedules for each day of the week from anywhere in the world. The products mentioned here are just some of the more popular brands, and don't constitute any kind of endorsement—there are a lot more options out there, and it's a good idea to track the product reviews since things are changing fast. Technology in the field service industry is about to take a huge leap forward. This is good news for those companies that grasp the opportunity by understanding the technology—and the customers it will appeal to. The Internet of Things is only one of the hot technologies we talk about in the free training guide below. Learn what they are, and what resources are available to help you get up to speed in them, by clicking below.